As a member of the Field County Sheriff's Department, Chris Jennings is used to having it rough. 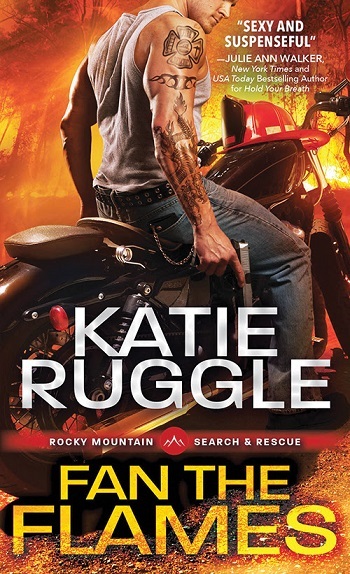 The Colorado Rockies aren't for the weak-of-spirit, but he's devoted his life to upholding the law-and to protecting the one woman he knows he can never have. He'll do whatever it takes to keep her safe. Daisy Little is the girl everyone thinks has gone completely crazy. After she witnessed her mother being shot at the age of sixteen, Daisy has refused to leave her home. All windows sealed and she hasn't been outside in over eight years. With her father bringing groceries and other things she might need and Deputy Chris Jennings, her best friend, stopping by to check on her, Daisy doesn't see a need for anything else. While Daisy can't sleep most nights, she looks out her bedroom window to see what her neighbors might be doing, when she notices someone moving near the empty house across the street. The person is moving something in a tarp and when they place it in the back of one of the sheriff’s SUVs, a boot falls on the ground. She calls Deputy Chris and the sleuthing begins. Chris brings Lou and the rest of the gang over and the girls discuss the random fires and killings. When the guys are there, they all use Daisy's home gym for Chris to show them a few self-defense tricks. Will they figure out who is behind the murder and fires before it is too late? Will Daisy and Chris finally let their feelings for each other blossom? Can Daisy conquer her fear before it is too late? I loved each story, but I think Daisy and Chris have stolen my heart. Her past broke my heart and Chris was there to save her in the end. This series is fantastic and I loved everything about it. It has the right amount of romance and suspense to keep you on the edge of your seat and to keep you guessing because I never guessed who done it. Awesome job Katie Ruggle. My reaction to this series has been lukewarm from the start. I really, really hate cliffhangers and I’ve struggled to warm to some of the predictable chick-lit styled women in the series. After three consecutive cliffhangers, I was hoping for a really satisfying end to the story, but after a dramatic and explosive climax, this book just sorta limps to the end. I wanted resolution, but motives weren’t properly explained and loose ends from previous books were left hanging. I struggled with Daisy’s character. Her agoraphobia is an interesting twist but the housebound woman really didn’t keep my attention for the whole novel. I struggled to believe that the paranoid self-defense expert suffering from insomnia was also a chatty, junk-food binging girl who loved hanging out with her new girlfriends. She felt older than her years until I had to endure her preteen girl dating anxieties later in the story. Deputy Chris is handsome, kind, and infinitely patient. But there isn’t really anything interesting about him. He is perfect but more than a little boring. The friends-to-lovers romance seems to drift in the friend zone for most of the story before rushing straight to committed, serious, and monogamous. I can’t say much about the actual plot of the story because it is the much awaited conclusion to the three previous books. The action in this story is more realistic than the action scenes in book three. I’m still not sure I wanted to know the identity of the bad guys from the start of this book. Knowing built tension in some parts but it ruined the suspense in others. We see all of the previous couples together, bonding, eating, working out, and sleuthing. By the fourth book, all of the men and women seemed interchangeable to me. The men are muscular alpha males and the women are their clever, beautiful helpers. My response is completely personal preference. This series wasn’t a great fit for me, but the cliffhanger endings kept me going to the end. I’m sure other readers will have their own responses to the books. For reviews & more info, check out our Gone to Deep post. 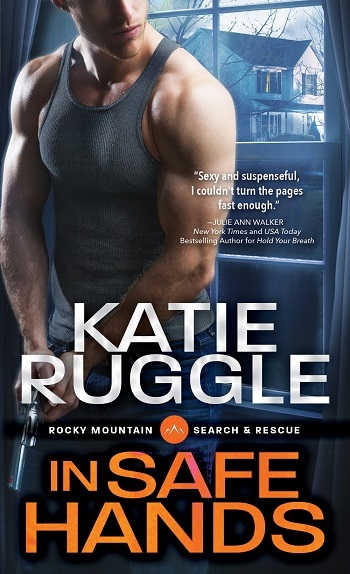 Reviewers on the Wicked Reads Review Team were provided a free copy of In Safe Hands (Search & Rescue #4) by Katie Ruggle to read and review.